Blog Like Crazy- Third Year is the Charm! Today marks the end of a challenge I accepted on November 1st…#bloglikecrazy!!! 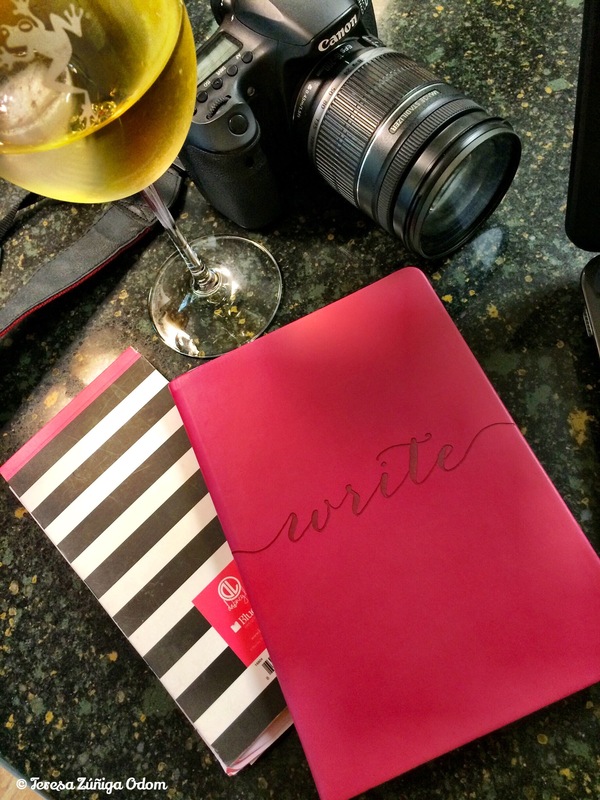 This is the third year I have participated in this as part of the See Jane Write network. As I mentioned on the first day, I wasn’t sure if I’d have “time” to participate this year and that still makes me laugh since I retired from corporate life in July. Still…my life has been busier than ever since I quit my day-job, as they say! I spent some time outlining my month and what stories I wanted to tell and write. I felt like I had a good balance and then life got in the way. If I had decided earlier in October to participate and not on October 30, I could have gotten ahead of the game. I did pretty well with the scheduling of stories the week I was at the beach. That was VERY helpful and I was proud of how that all worked out! Meanwhile, some of the stories I had planned didn’t get published…at least not yet! I have several that I want to share but I also make a point to include photos and in these cases, I need to go through old photos in order to publish them. Those stories are written and just waiting so stay tuned! I always find it interesting to see which posts resonate with people. 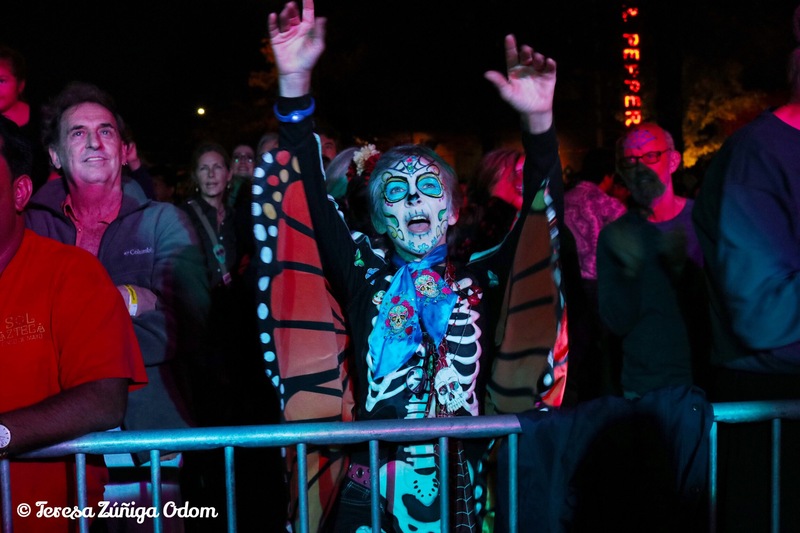 My best post this time was about Alabama’s Dia de los Muertos event. I know that particular post got shared quite a bit so that helped! My thrifting posts got a lot of attention as well. 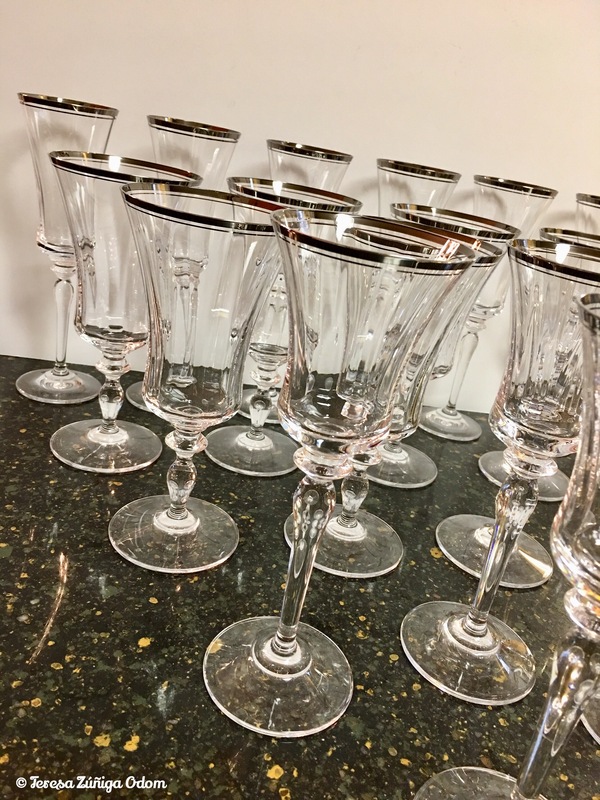 At first, I didn’t plan to write much about thrifting but I started on one post and it morphed into several! Those were fun to write too because I had been photographing everything that I’ve found this year so it was easy to draw from that album. My Thanksgiving at the Beach post also was pretty popular. 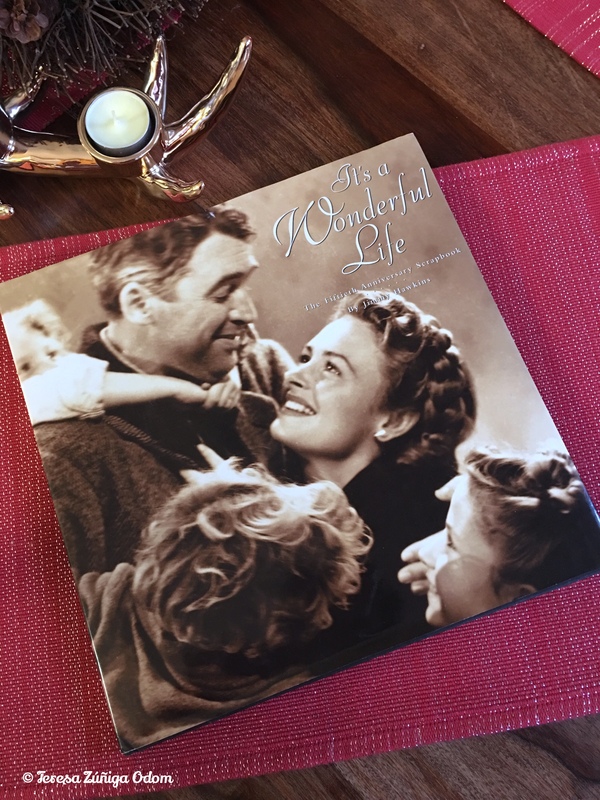 People get nostalgic around the holidays and that’s what I’m attributing the big response for this post to. 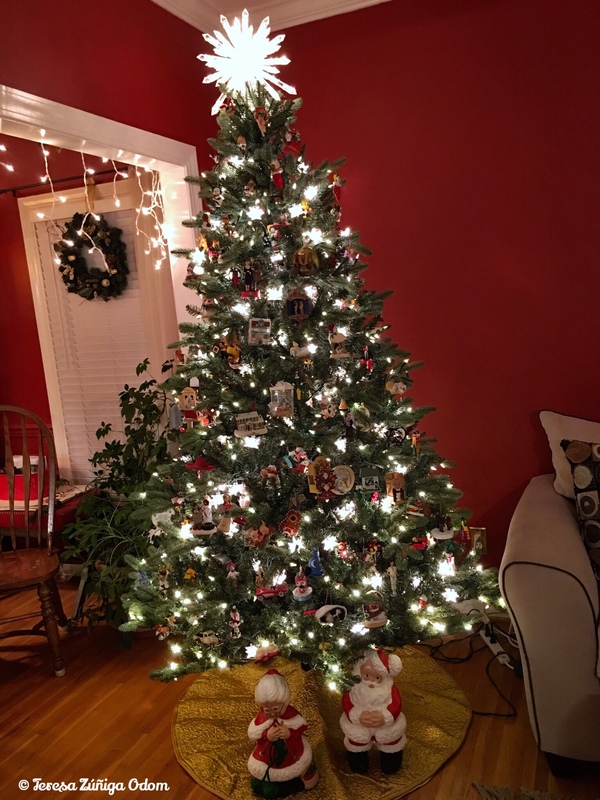 Personally, I like to see what others do around the holidays – the family traditions, the fun and games and the decorations all appeal to me so that’s what I try to include in my posts. Finally…my She Shack post has really done well! Who knew the female equivalent of a Man Cave would garner so much attention! I love my new She Shack and so does my pup, Lucy. In fact, today I was in our upstairs laundry room when she blew past me and hit the door with her head to open it thinking I was in there! Let’s be honest…that’s her room as much as it is mine! My She Shack…my daughter’s daybed is visible when you walk in – displaying my colorful pillows and my grandmother’s brass lamps. I’m anticipating a lot of “me” time in my She Shack devoted to photo scanning, writing and blog posting in the new year. This challenge was the perfect way to get myself motivated too. I’m so glad I decided to participate in #bloglikecrazy again this year, even it if WAS at the last-minute! They say the third time is the charm and I believe that’s true for me this time! 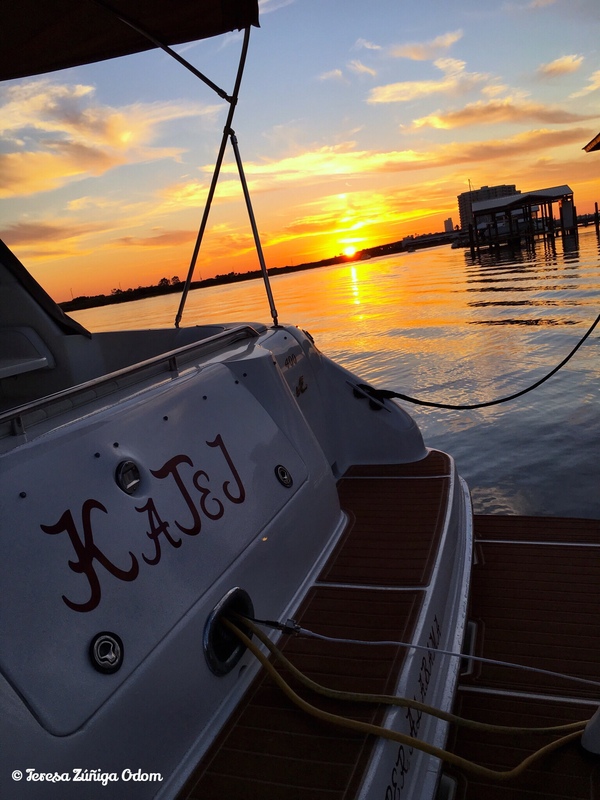 This entry was posted in Blog Like Crazy and tagged Blog Like Crazy, See Jane Write on November 30, 2017 by Southern Señora. So…what do you call the female equivalent of a Man Cave? Why, you call it a She Shack!!! 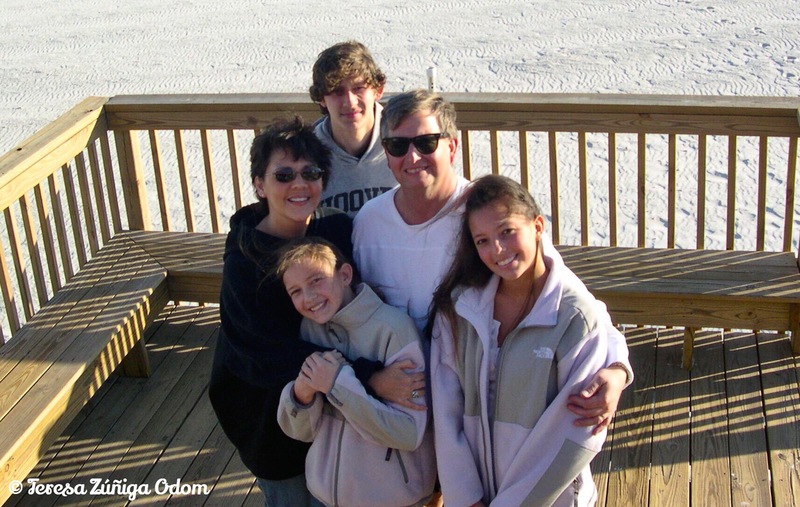 Several years ago, I remember saying to my entire family that it wasn’t fair…they all had their rooms and I didn’t have one of my own! My husband had his man cave, even though he says it wasn’t truly his, as the kids would take it over and I had a lot of my stuff down there. But I didn’t really use it much in all honestly. I stored all my photos, slides and negatives there but after trying to use the space to work on organizing all this stuff, I finally gave up. I would pull everything out and start getting things organized to scan, only to discover that everything had been moved and was not disorganized and I would just get frustrated and…well…it just wasn’t working out. I moved to the dining room table at one point, but then we’d have family events throughout the year so it wasn’t the best place to pull everything out and leave. 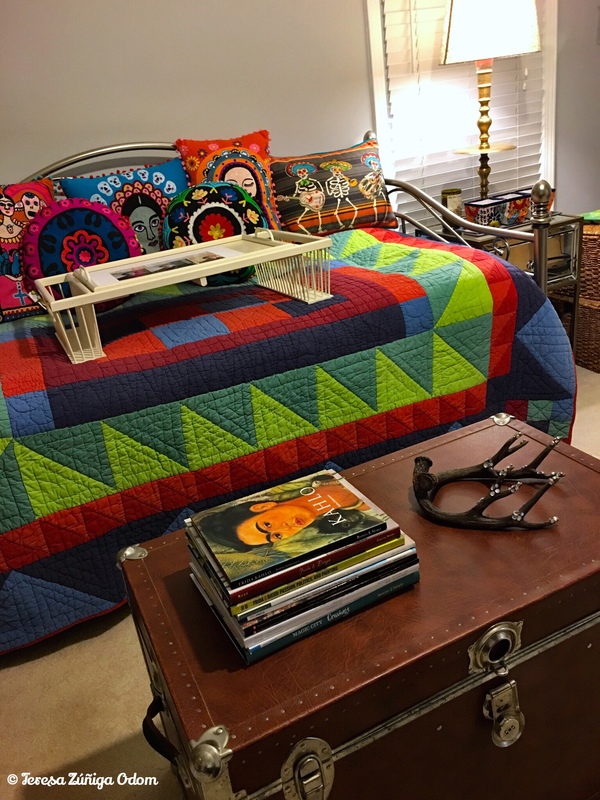 So, when my daughter Anna Marie got married in 2015, I decided her room would become MY room…or my “she shack.” It was exciting to pull everything out of the basement and begin sorting and organizing and decorating. I had a vision of what the room would look like but in reality, the room wasn’t big enough for my vision! I had to do some accommodating. I began making “some” headway but as I added more and more photos – from the days when I’d get film developed and order an extra set of prints – I realized the room just wasn’t big enough. In May this year, my son moved out and relocated to Wetumpka. With his vacant room, I decided this was my true She Shack! We began painting all he bedrooms in our house and as soon as it was done, I began moving everything from Anna Marie’s room to Charlie’s room. I really loved the extra room and the way things were shaping up. The final item I added was a new desk that I found at World Market. It’s a natural wood and has plenty of surface space to really sort photos and other things. My husband also made me a TV stand from a Black Stallion wine box that we brought back from our 25th anniversary trip to Napa! My World Market desk along with a bulletin board my husband made for me when I found a large framed photo at the thrift store. The zebra chair is from a friend who inherited it when she moved into her house last year! Eddie turned this Black Stallion wine box into a TV stand for me! I still think the TV is too big but what are you gonna do?! I really love that this is a place where I can leave things and they won’t get disturbed. I’ve enjoyed a little time in my she shack so far and expect that the new year will have me camping out in there – especially when I get Netflix on that TV!!! One of my favorite things in the room is the display of my cameras. I’ve kept pretty much every camera I’ve ever owned. I also have my dad’s Leica camera and his camera case on display. Dad’s manual typewriter is also prominently displayed. I love this old typewriter and actually used it from time to time when I was younger. My electric typewriter – remember those? – is also in my room but I haven’t figured out a way to display that yet. It takes up so much room! Some of my cameras…I’m a Canon girl but I did venture into Nikon territory a while back! The caricaure was made at an event I went to. I had to start a third shelf to hold my old cameras! My dad’s Royal manual typewriter. It came from Sparks Office Supply in Carlsbad, New Mexico! These were my daughter’s shelves but she didn’t want to take them with her when she got married so now I am using them to display some fun things! I’ve been able to add quite a few things to the room that I’ve found and kept stored for a while. Some of the bigger items include my grandmother’s brass lamps from Bangkok, Thailand that I cleaned up and I’m using on either side of the day bed. My cedar trunk, which I bought when I lived in Illinois, is being used as a makeshift coffee table. Several thrift store finds have made their way into the room as well, like the mirrored end table and a large five-drawer chest of drawers that my husband stripped and cleaned up for me to use for my photo storage. I still need to polish up the brass handles and put them back on. Meanwhile, I think I might need another! My new Crossley turntable graces the top of this chest of drawers. I got it at 2nd and Charles for $5 after turning in $65 worth of books. Not a bad haul that particular day! Storage! This chest of drawers came from the thrift store. My husband stripped it and I liked it in its natural form. My Crossley record player is on top. The phone lamp was made by my grandfather. I still need to find a lampshade fo it! A better look at my grandmother’s lamp and the mirrored end table I found at the thrift store. The two baskets are filled with paperwork that I’ve saved. Another project to tackle! Even behind the door is being used. I save all the lanyards I’ve worn over the years. I also like hanging my hats and this was the perfect “out of the way” spot for that! When I was growing up, my room was my refuge. I shared a room with my sister, Helena, until we moved to Chicago in 1971. That’s when I got my own room and it was the best feeling! I used to joke that when my parents sent me to my room, it made me happy because that’s where all my stuff was and that’s where I found the most peace and solace. Thinking of that Beach Boys song makes me feel cozy and warm. I think everyone should have their own room, or space, to create in or just “be” in. I’m grateful that this has finally been afforded to me. I’m loving my new She Shack! This entry was posted in Blog Like Crazy and tagged Beach Boys, Blog Like Crazy, Crossley, In My Room, Man Cave, Royal Typewriter, She Shack on November 28, 2017 by Southern Señora. It’s after Thanksgiving and “officially” time for Christmas music! I know…I know…there are stations that are already playing the same 20 Christmas songs over and over. I don’t get it – I mean, I know there are a limited number of Christmas songs, but it would be nice if they would add a few new artists to their schedule and give them some play time too! 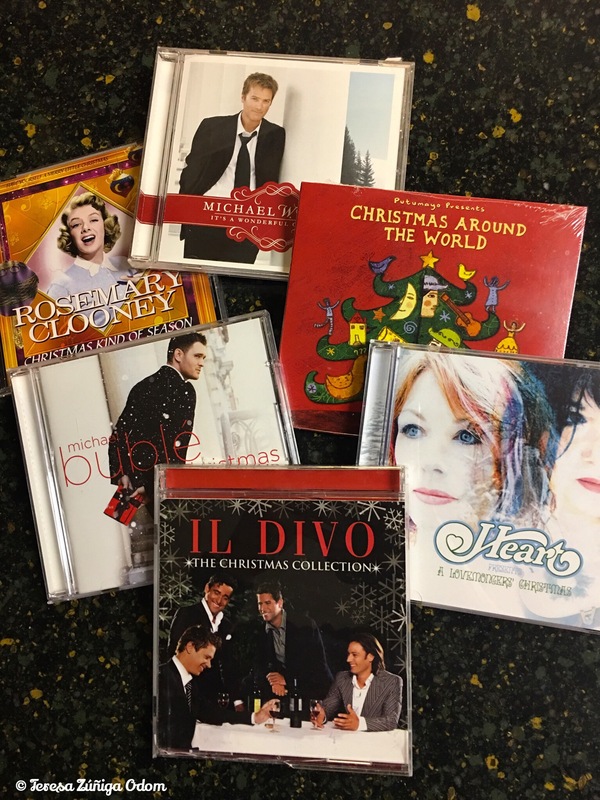 That’s why I turn to my collection of Christmas cds and start researching new Christmas cds in November each year. 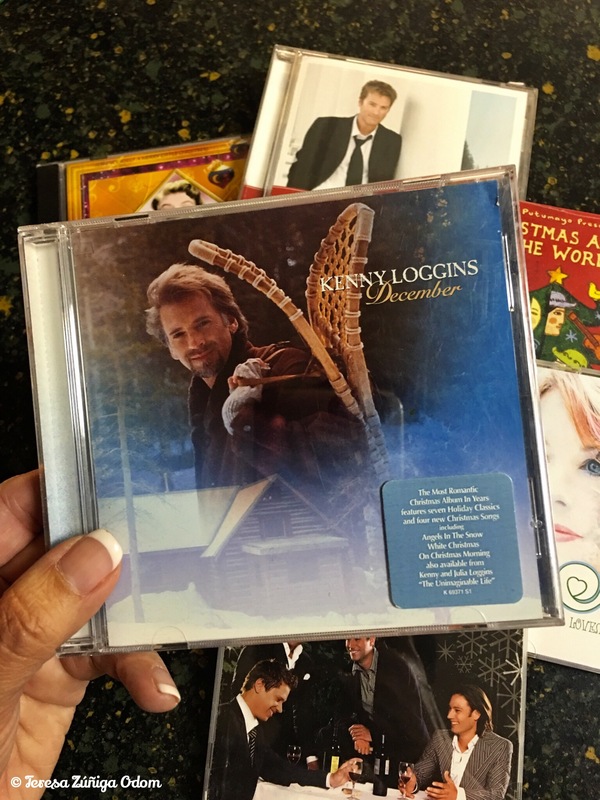 Kenny Loggins Christmas CD – Celebrate Me Home isn’t on this one but I still love his music! 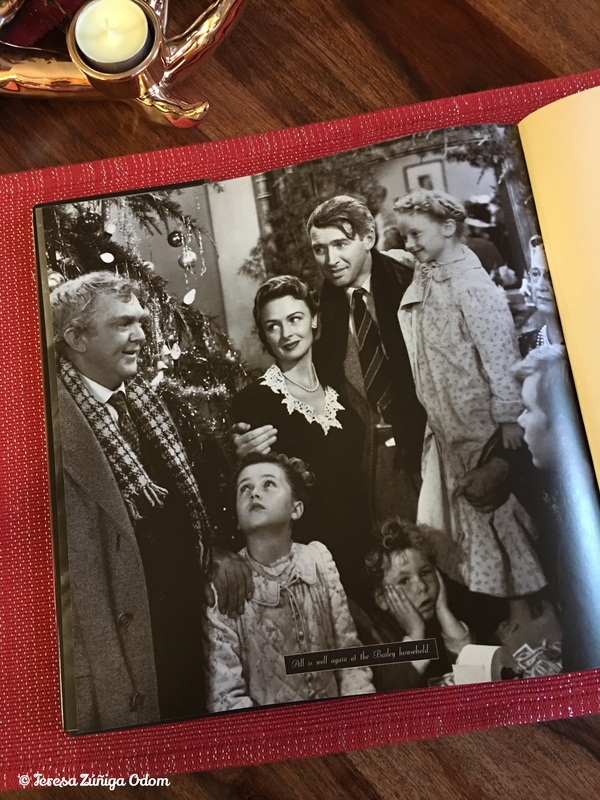 Another favorite is the Bing Crosby and David Bowie song – “Peace on Earth/Little Drummer Boy.” For one, I love Bing Crosby’s White Christmas…who doesn’t?! And then there’s David Bowie…I mean, come on! What sold me on this song was the video of these two legends singing the song together. It became a Christmas tradition for me to try to hear the song every year and there were a few years where it wasn’t so accessible. Now it seems to be on the radio circuit so I do get to hear it more often which is nice. 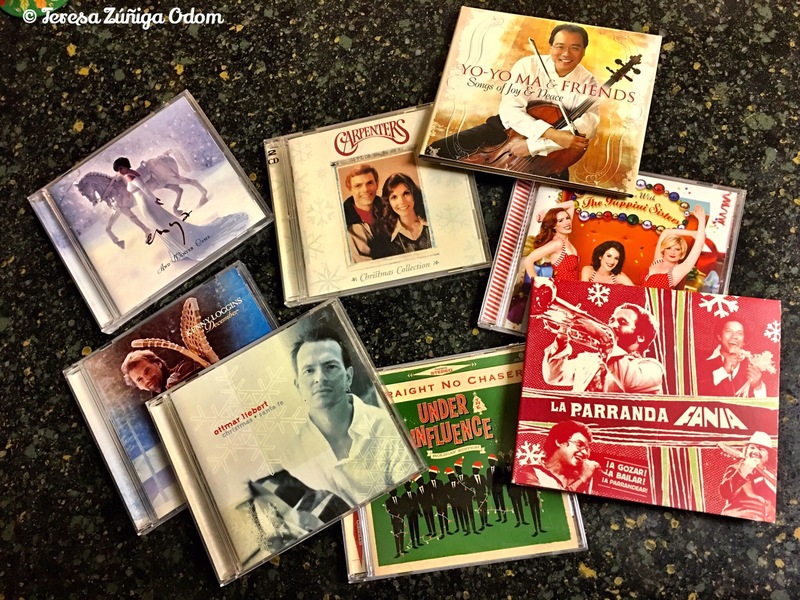 A few more of my favs…honestly, it’s hard to choose just a few Christmas cds. I’m always on the hunt for new cds every year and different versions of some the classic songs! The Carpenters…this goes without saying, doesn’t it? I mean, what is Christmas without Carpenters music?! Merry Christmas, Darling…There’s No Place Like Home for the Holidays…What Are You Doing New Year’s Eve… These are all well-known songs by Karen and Richard. But there is one that I have to play every year to really make it Christmas and that song is “Little Altar Boy.” You won’t hear this one on the radio but I wish it would be played. It is the most beautiful and haunting song. It was on the B side of “Do You Hear What I Hear” and never received any chart status. Sometimes though…these are the best songs. Karen’s voice range was incredible and so pure. She was considered one of the best vocalist of all time and this song to me proves it. It brings me to tears when I listen to it every year. it is 3:43 minutes of pure beauty. Little altar boy, I wonder could you pry for me? This entry was posted in Blog Like Crazy, Christmas Music and tagged Bing Crosby, Blog Like Crazy, Christmas Music, Dan Fogelberg, David Bowie, Kenny Loggins, Little Altar Boy, Little Drummer Boy/Peace on Earth, Same Auld Lang Syne, The Carpenters on November 25, 2017 by Southern Señora. Back in the 60’s, we had a TV, radio and record player combo made by Magnavox. It was really a piece of furniture and my dad loved the Magnavox brand! I remember when we lived in Puerto Rico the Magnavox was in our family room and it pretty much divided our kitchen from the family room. Mom and dad had quite the album collection and me and my sisters loved pulling out records and playing them on the Magnavox. You could stack several records and when one finished, the next one would drop from the silver stand in the middle of the record player and the music would just continue. I guess you could call it a precursor to Pandora! One of the records that I always loved to play was the Herb Albert and Tijuana Brass Whipped Cream and Other Delights. The album cover was iconic and featured a woman in a shaving cream and chiffon dress and hat. This may have been the bands most popular album and several of their songs were featured on the 1970s game show, The Dating Game hosted by Jim Lange. This was one of those times when I heard a song on a TV show and realized who the artist was! At the time, we just loved the brass music and me and my sisters and mother would dance and dance around the family room to this album! 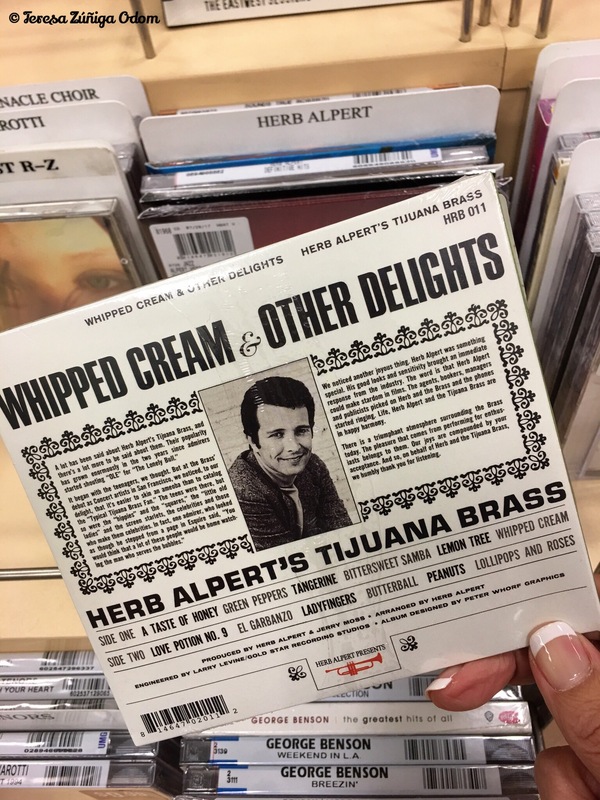 Music on the Whipped Cream – Herb Albert album. I loved listening to this album when I was little! I was watching Hallmark Home and Family one morning a few weeks ago and Herb Albert was on the show promoting his new Christmas album, The Christmas Wish! As he played one of the songs on the album, I had a major flashback to being 7 or 8 years old and listening to the Whipped Cream album. Every year I like to add a few new Christmas albums to my collection and I knew I had to have this one! Later that day, I headed to my local Barnes and Noble and there it was…and off I went to the checkout! All the songs are familiar Christmas songs but with that Tijuana Brass sound, I so look forward to playing this after Thanksgiving!!! Yes, I did listen to it as soon as I purchased it but I do like to wait until after Thanksgiving to really crank up the holiday music! So come, November 24th, that cd will be played non-stop! On a side note, I really want to find that Whipped Cream album – not the CD – the album! I think one of my sisters has the album we listened to as children, but I’d love to have one of my own! I was at the thrift store recently and they have an album section. So, I looked through the section on the off-chance I would find it. I didn’t, but instead found Herb Albert’s 2nd album called Volume 2! Ironically, when I looked the album up online, I found out this one didn’t fare so well initially after the release of their first album. No matter to me though…it still has that iconic Tijuana Brass sound and I was thrilled to find something by Herb Albert and in this case, for just $2. Meanwhile, I do plan to add the Whipped Cream album to my collection before the end of the year! 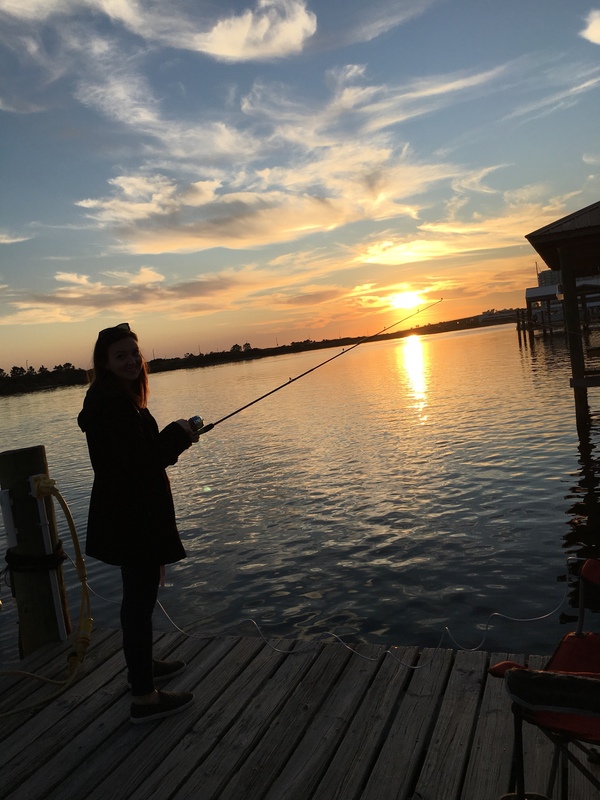 This entry was posted in Blog Like Crazy, Music and tagged Albums, Blog Like Crazy, Herb Albert, Magnavox, Records, Tijuana Brass, Whipped Cream and other Delights on November 24, 2017 by Southern Señora.